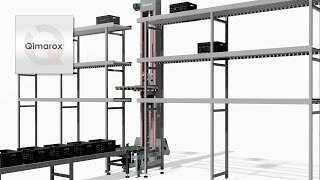 Qimarox is a leading manufacturer of components for material handling systems. 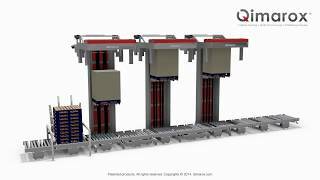 As a manufacturer of, among other things, palletiser modules and vertical conveyors, Qimarox distinguishes itself by its contemporary vision and approach, in which innovation, quality, and added value are of paramount importance. Qimarox emerged from Nedpack, which was established in 1995. 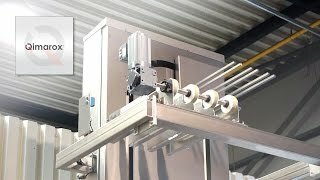 From the beginning, Nedpack had a strong focus on the manufacture of palletisers and vertical conveyors. Today, Qimarox supplies various types of components to original equipment manufacturers (OEMs) and system integrators worldwide. 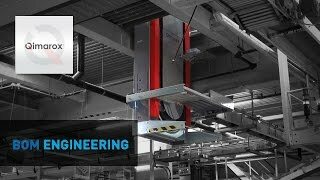 A few examples are the Prorunner mk1 product elevator, the Prorunner mk5 vertical conveyor, and the Highrunner mk7 palletiser module, a series that will be further extended in the coming years. These components are traditionally very common in production and final packaging lines, especially in the food industry, but also in other sectors.